What Exactly Do I Practice? My practice has been constantly evolving and has grown from my childhood fascination with the occult and paranormal which led me to explore, in later years, areas such as psychic phenomena and psychic development, astral travelling, astrology, crystal healing, herbs, Reiki and other complementary and alternative healing methods, and from there my interest in witchcraft developed in early 2003. Although I’ve always been intrigued by the mythology and loved the whole idea of Dragons I had never made any connection with them on a spiritual/astral level and never even knew it was possible until I attended a Dragon ritual and meditation with SOL (and later wrote about it here). As a group we occasionally worked with Dragons, mainly via weather magick, and I learned more about how other people perceived and interacted with them. 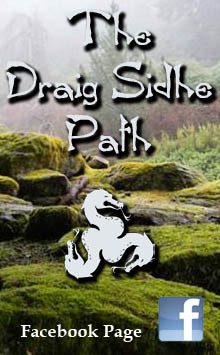 I realised very early on that the Draconic path is a very individual path as other people’s accounts of how they saw/heard/felt Dragons — whether first hand face-to-face accounts or in books about Dragon magick — didn’t quite match my own experience, which was very vague at best. Although I felt like I was floundering in this new (for me) spiritual path I still felt I was connecting with something and that feeling steadily grew stronger and I felt compelled to stick with it and not turn my back on the Dragons. 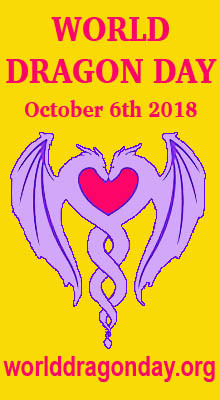 My ‘moment of truth’ came on the evening of 9th October 2009 when a serious situation developed with one of my sons and I made solemn promises to the Dragons in exchange for their help and protection for my son regarding this situation. The Dragons came through for me and my son’s safety and wellbeing was assured with the situation being resolved favourably, even though it could easily have gone the other way. 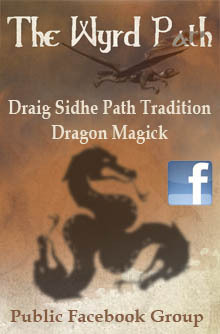 That was also the night I created this website to honour the Dragons and uphold certain promises I made to them. I consider Dragons to be deific beings and I turn to them for assistance more so than other deities. The Dragons have told me that all deities are manifestations of Draconic energy which is the essence of everything and at the heart of everything. The Dragons are conscious beings — guardians, teachers and co-magicians. For me they are sometimes a psychic message from ‘somewhere’, an inner knowing, a voice or a random thought that is not ‘mine’, an energy or ‘presence’…and so much more. The Dragons are forces of nature — of Air, Fire, Water, Earth, Spirit and more. They embody the Light and the Dark, Chaos and Order, and they can create and protect or just as easily destroy and annihilate. Dragons are elusive, tricky, wonderful, all-powerful, discerning beings. They make themselves known if you ask — they know if you are genuine or not. At all times, they deserve respect and honour. Sometimes I feel distant from them — it makes me sad and frustrated. Other times I ask earnestly for their assistance and they respond, silently acknowledging my request in acts of the most sublime synchronicity! I know they are there, yet I can’t always see them as some others say they can. I wonder sometimes, am I doing it ‘right’? My answer always lies in the positive synchronicity and wonderful results, many of which I have written about previously (see here and here). I have an altar set up in a very central location in my home (see photo above). Rarely a day goes by that I do not light the candles or at least turn on the salt lamps first thing in the morning as a small way of honouring the Dragons. I occasionally burn incense as an offering to them. My Crystal Dragon Skull Clan also sits on my altar along with statues, magical tools, other crystals and shiny things. I have a core group of 11 Dragons (I know there’s a 12th out there that is yet to appear) that I work with who are associated with the elements of Air, Fire, Water, Earth plus Light, Dark, Chaos and Spirit. In addition to the 11, my Crystal Dragon skulls each house a Dragon “consciousness” or “entity” that has chosen to associate itself with each particular crystal and I connect to those through meditation which sometimes results in channelled messages from them (here). I also have another Dragon who is separate from me yet a part of me and is me …if that makes any sense. I try to meditate when I can as this strengthens my bond and connection with the Dragons. Regular meditation also helps to develop and strengthen one’s magickal abilities in general. 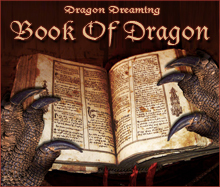 When the need arises I will do some spellwork with the Dragons’ assistance for myself or for others. Sometimes a healing spell is required, other times protection may be needed, or assistance in procuring a necessary item, and I have also worked weather magick with the Dragons on quite a few occasions (go here and here for examples). I should point out that I don’t do spells for every little thing, just the occasional event or circumstance that is very important for whatever reason — often life-changing. In some instances I wouldn’t even call what I do “spellwork” as such as I tend to associate “spells” with the use of candles, crystals, herbs and other magickal correspondences and “props” to help reach the required mental state. I sometimes cast a circle and do “traditional” magick spells like I just described, and occasionally create sigils for specific purposes, but at other times my magickal practice is more “organic” than that — a simple reaching out to connect and communicate with the Dragons — to connect with a flow of energy/consciousness — to project my will and intent for a particular outcome and share my own energy with what I sense as being “Dragon” — magick without the need for ritual, particular moon phases, planetary hours, potions and rhyming words — just me and the Dragons. Some people have referred to this as “thought magick”, but really, in my opinion, that IS what magick is — the art of utilizing natural forces (eg. 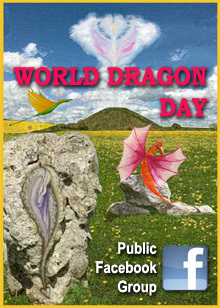 “the Dragons”) around us to bring about change in conformity with Will — and it all begins and ends with thought. Anyway, I’ll not delve further into the definition of magick as there are other viewpoints on the matter which aren’t necessarily the same as mine. My personal experience is sometimes hard to put into words that will make sense to someone else. 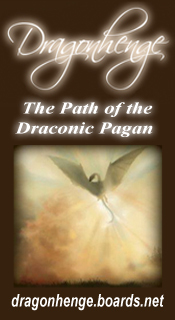 As I said earlier, the Draconic path, or whatever you want to call it, is a very individual experience.